Scientists have finally identified the animal all other animals evolved from. Sponges are so sedentary, you might forget they're even animals. But they are members of the animal kingdom. In fact, scientists recently concluded that sea sponges were the first to break off the evolutionary chain from the common ancestor of all animals. What does that mean? It means that, scientifically, sponges are very, very important. All members of the animal kingdom must have evolved from a common ancestor. But scientists still didn't know what this organism was. In order to figure it out, they needed to identify which phylum was most closely related to that common ancestor. Which phylum was the very first to differentiate itself, to branch off in the evolutionary tree? For years, there was a debate over whether the sea sponge phylum or the comb jelly phylum was the first branch. 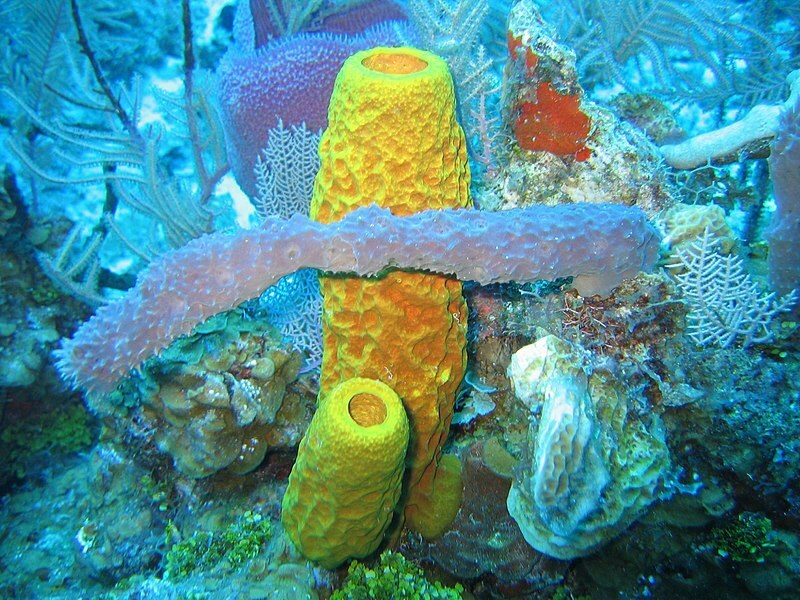 Yes, sea sponges are actually an entire phylum of animals. They come in all colors and sizes, but what they have in common is that their bodies are full of pores for filter feeding. Sponges don't go out to hunt their food. They wait for the food to come to them. The comb jellies are quite different from the sponges. They are gelatinous animals that use cilia to swim. They hunt using a pair of retractable tentacles that are covered with sticky cells. Most are egg-shaped, but some are bell-shaped or flat. They range in size from a few millimeters to nearly 5 feet and are much more active, using cilia to swim. While the comb jelly is vibrant, animated and complex, the sea sponge is passive, ugly and even boring. In a way, the sea sponge was the underdog in this race, and now the underdog has emerged victorious. How did this team of researchers actually figure out that the sea sponges were the first evolutionary tree branch? Math. Lots and lots of math. Basically, the researchers created models to describe the data that had been collected on sponge DNA and comb jelly DNA. They used statistics to figure out which models fit the data best. And the winning models were the ones that had the sea sponge evolving first. Some scientists think that this study, while great, hasn't completely solved the debate yet. We will see whether more data comes forward that supports the sea sponge victory.